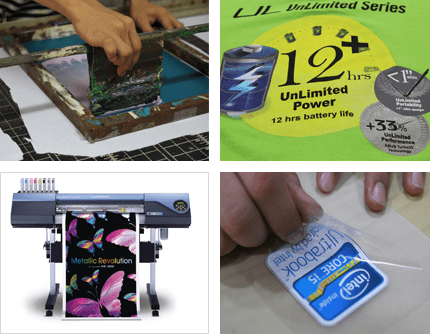 As a part of production, we are an apparel printing professionals having more than 20 years of experience. From a small manual operated machine to advanced automatic printing machines, we are managing to produce up to 4,000 t-shirts daily! We use high quality Screen Printing (for large volume) or Transfer Printing (if applicable) to achieve the best results for any design or logo of custom made t-shirt. Whether you require a simple one color t-shirt printing or multiple full colors printing, we can do it all. Just send in your desired artwork or contact us for assistance. The embroidery process is achieved by “digitizing” logo / design into stitches and threads. The digitized file reserves information; object outlines, embroidery thread colors, and original artwork used to stitch the designs. Afterward the process, it is loaded to the embroidery machines to start stitching. Embroidery cannot be used where a graduated colour effect is required. Prices of the Embroidery designs vary with the number of embroidery stitches required in logo/ design. Generally, all embroidered are carried out using polyester embroidery threads due to its vibrant, rich colors and luxurious finish. Moreover, they are resistant to chlorine bleach which ensures long-term wear and lasting color. 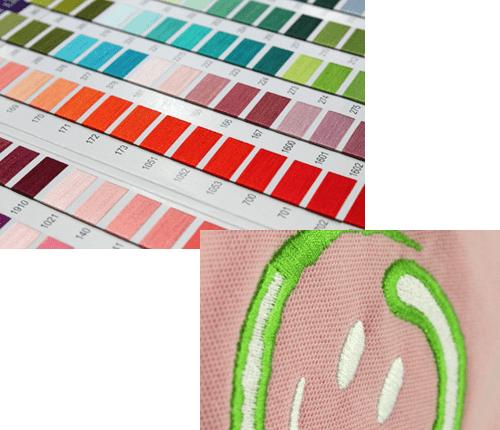 We have numerous of polyester thread colors for selection, later selected thread colors can be matched with Pantone Matching System® to confirm the accuracy with existing logos.